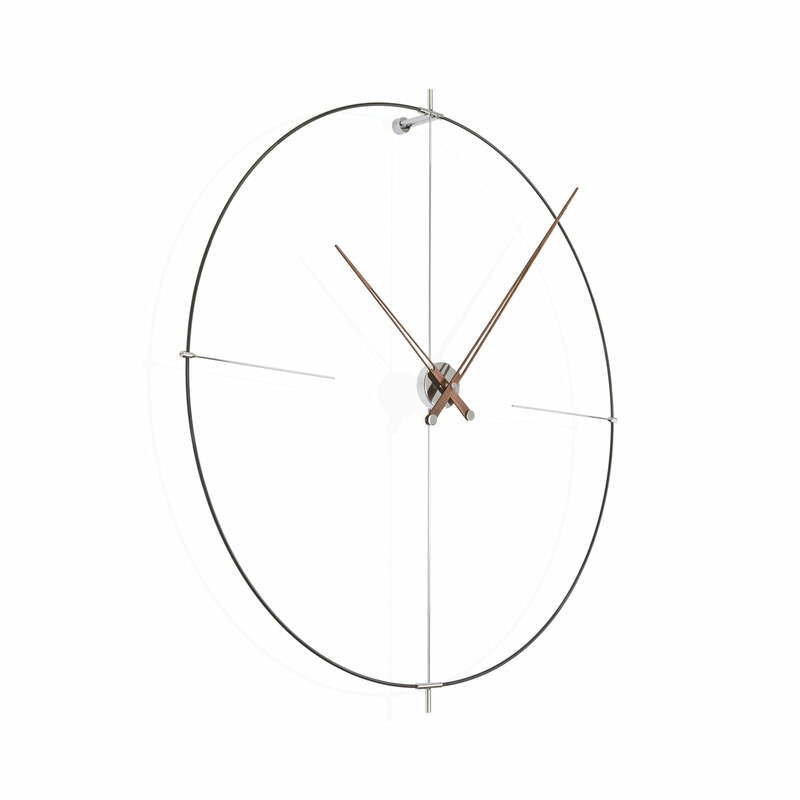 The Bilbao clock by nomon adds a dynamic twist to the classical design of a wall clock. 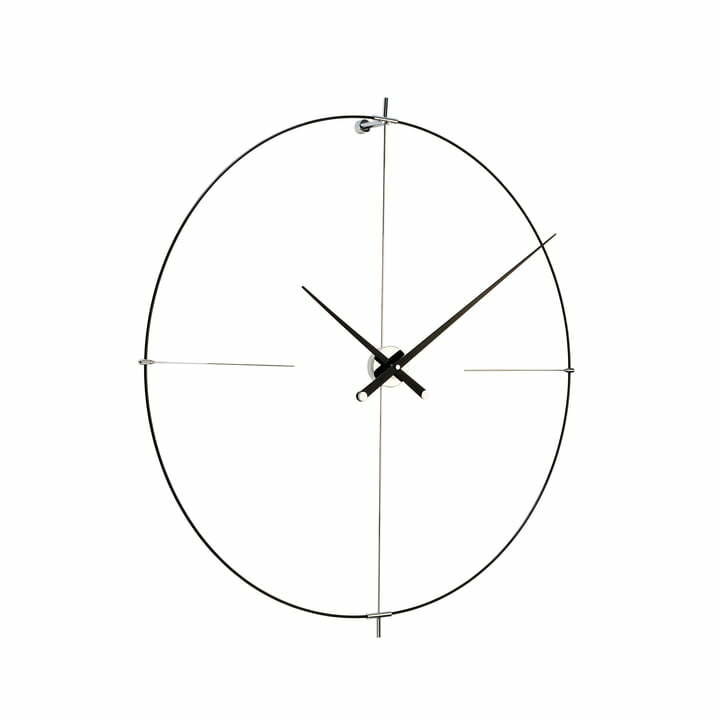 Unlike all other clocks, this one is directly attached to the wall but is several centimetres away from it, attached to a hook. The structure consists of a steel ring that is stabilized by two more bars vertically and horizontally. In the middle of these rods there hang the minute and hour hands. 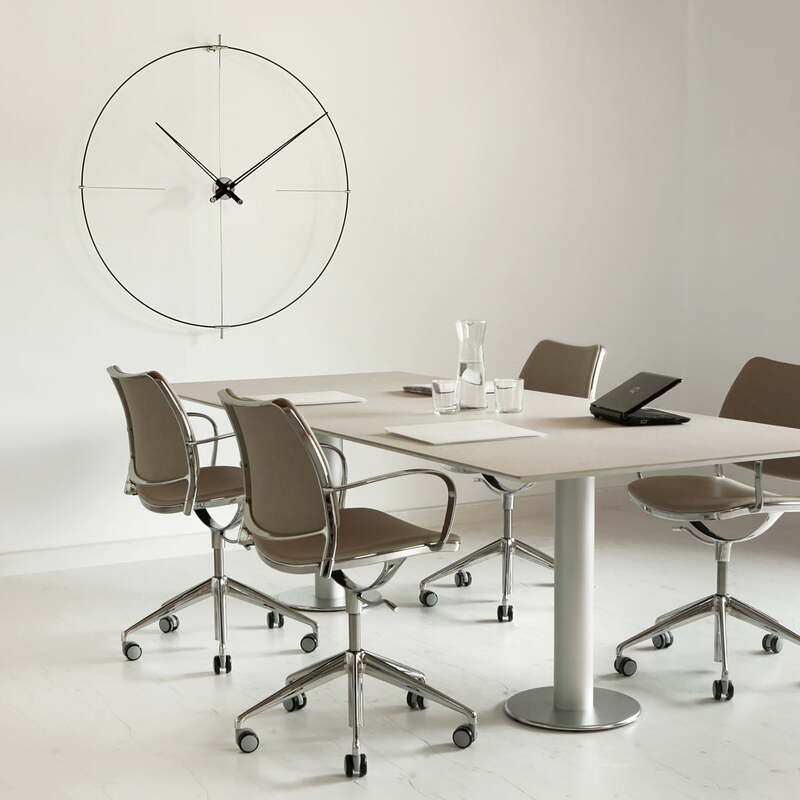 The clock has a special effect by moving away from the wall, dynamically and weightlessly as a feather. 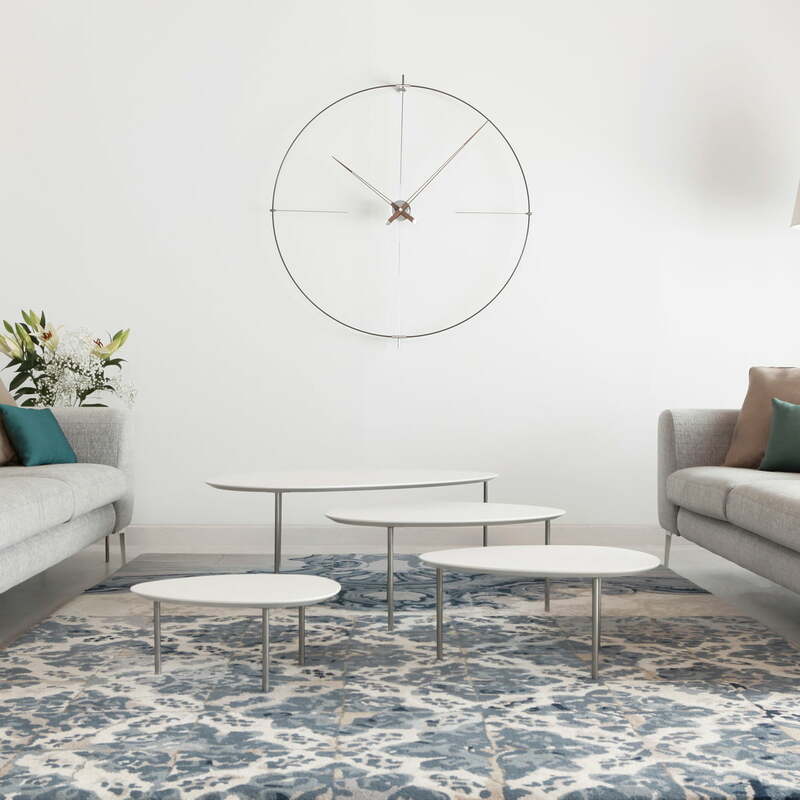 The clock swings thanks to the way of being mounted at the wall and is always slightly in motion, which is the reason why it is a vivid design object. It is not just like any other wall clock, rigid, boring and firmly hanging on the wall.